What Can You Do To Bring About Peace? THE TRUTH OF 9/11 NOW! FULL DISCLOSURE OF OUR GALACTIC FAMILY’S PRESENCE! The following is my personal multi-dimensional list as an example, and what might be a springboard for your own actions. FULL DISCLOSURE OF OUR GALACTIC FAMILY’S PRESENCE NOW! We love & support you!! So Be It. So It Is. 2. Following up with another of Ashtar’s suggestions (8/27/13 call) I am mailing cards/letters infused with much love and support so that he will receive it “big time” whether he reads it or not….in fact I will be addressing it to the entire First Family because they have all done so much Shining in the White House from which we, the rest of world, and Beyond, have greatly benefited. (Address on website: www.whitehouse.gov/contact ). PEACE NOW! THE TRUTH OF 9/11 NOW! NESARA NOW! FULL DISCLOSURE OF OUR GALACTIC FAMILY’S PRESENCE NOW! And, my intent is that when it comes into my conscious awareness, as I am about the living of my life, that I will empower the program even stronger with my Love/Light. This also happens when you, The Ashtar Family and our calls, comes into my conscious awareness/remembrance…..for this is about our Oneness and communing. 4. Following through with the Ashtar exercise (8/27/13 call) of looking in the mirror and Standing In Your Divinity (original done to clear out any part/thing that is not of your highest Light)…..
5. 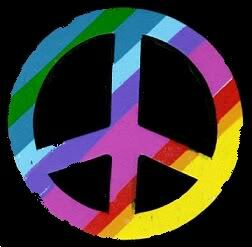 I envision a WELLSPRING OF PEACE in each and every being on Earth: bubbling up with their own mantra of “PEACE NOW! TRUTH OF 9/11 NOW! NESARA NOW! FULL DISCLOSURE OF OUR GALACTIC FAMILY’S PRESENCE NOW!…….ALL ACCOMPLISHED!!!! I see some people being shocked; others curious; other: “This makes sense.”; and the rest: “FINALLY!”. 6. I am working with the Animal and Plant Kingdoms through my own beloved cat and garden to broadcast the mantra to other plants and animals that they come in contact with besides the human families they are a part of.